Margot Duhalde, who died today aged 97, was born in Chile but with family connections in France. She started flying lessons in Santiago when she was 16 and obtained her flying licence two years later. When General de Gaulle issued his call to the Free French in June 1940, she offered her services and arrived in the UK in April 1941, only to be told that the French forces did not require female pilots. However, Margot then applied to, and was accepted by, the ATA (Air Transport Auxiliary) – who were recruiting foreign pilots. She remained with the ATA until the end of November 1945, flying almost 70 types to aircraft to RAF squadrons. 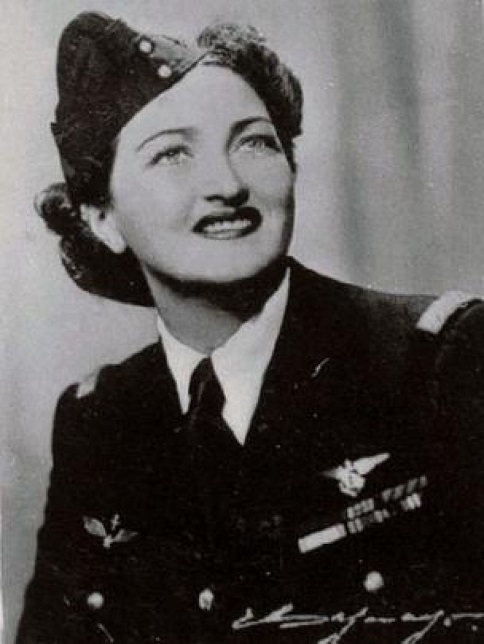 Ironically, she became France’s first combat pilot when she joined the French Air Force in 1946. She returned to Chile in 1947, where she pursued her career in aviation until she finally retired aged 81, and two years later made her last flight as a pilot. After the role of the wartime ATA pilots was eventually recognised, in 2009 Margot was presented with her Veteran’s Badge by the British ambassador in Santiago.